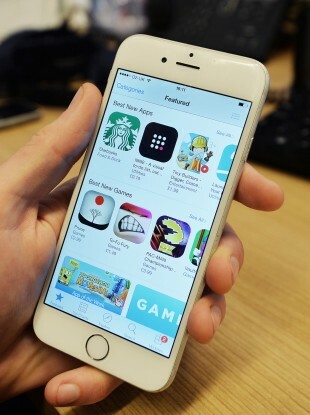 MORE THAN 250 APPS on Apple’s App Store were removed after they were discovered to be using ad software that secretly stole personal information. The apps used specialised software to help it gather personal information like email addresses, serial numbers, installed apps or any other personally identifying information that could be used to track users. The issue was discovered by security analytics startup SourceDNA, and the software in question was made by a Chinese advertising company called Youmi. It used a number of methods to get around Apple’s vetting policy and ensure that even the app developers didn’t know it was happening. Apple has a stringent vetting process for apps, usually requiring a week before it approves any new apps or updates. Yet the methods used by Youmi meant they went through undetected and made it onto the App Store. A similar incident happened recently where a number of apps were removed because they were able to monitor data between users and servers, even when encryption was used. Apple advised users to delete apps and their configuration profile to fix it but didn’t specify which apps were affected. Apple later issued a statement saying it was working with developers to get their apps back on the store and ensure that a similar incident didn’t happen again. The apps using Youmi’s SDK have been removed from the App Store and any new apps submitted to the App Store using this SDK will be rejected. We are working closely with developers to help them get updated versions of their apps that are safe for customers and in compliance with our guidelines back in the App Store quickly. Email “Apple bans hundreds of iPhone apps that secretly spied on users”. Feedback on “Apple bans hundreds of iPhone apps that secretly spied on users”.